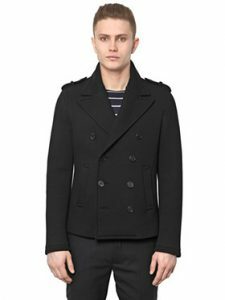 A natural step forward from last fall’s sportswear-laden lineup, neoprene is fast becoming one of menswear’s coolest under-the-radar trends. 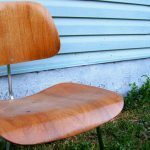 And it’s perfect timing, too—the stretchy synthetic rubber fabric is lightweight enough to keep you from burning up as the weather gets hotter and versatile enough to incorporate into any aspect of your wardrobe. When it come to a classic blazer, nothing matters more than fit. And when it comes to fit, nothing forms to your body quite like neoprene. 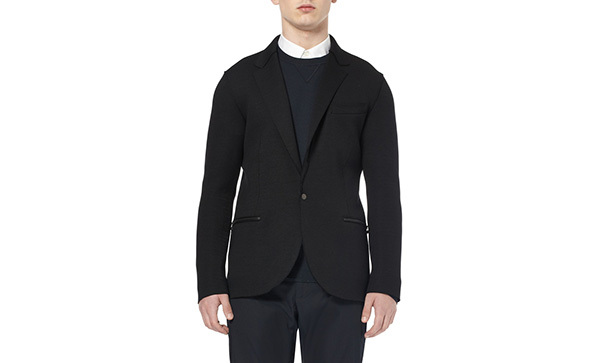 This unlined Lanvin Neoprene Blazer ($1,420) has all the features of a classic go-anywhere, do-anything slim black blazer. 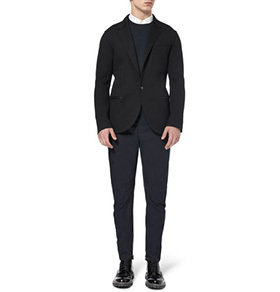 The zippered detailing along the pockets, raised seams and single snap-buttoning recall the fabric’s sportier roots—with much better tailoring. Run with it on a night out, to the office and everywhere in between. These days, true mastery of style comes by way of layering up. Thankfully, breathable neoprene can help you add on another layer without making you sweat. Forget your typical track jacket. Opt instead for a stylish, sports-inspired take on the classic bomber, a key piece this season. 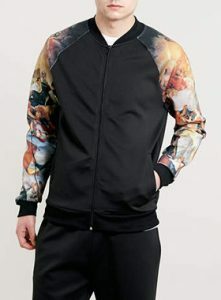 This Black Art Work Print Sleeve Bomber Jacket ($70) takes advantage of the sleekness that makes neoprene the perfect canvas for prints. 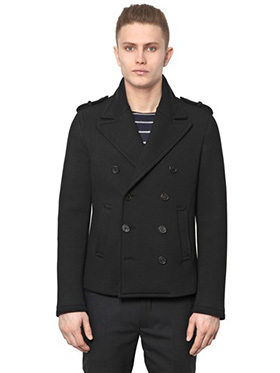 For a more classic look, check out this Light Neoprene Peacoat ($1,750). If you’re tired of loungewear that falls on the slouchy end of the sartorial spectrum, neoprene is a godsend. 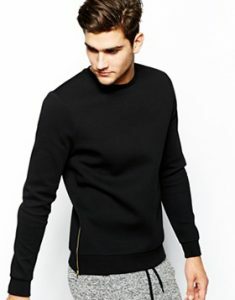 When used in weekend wear staples such as this ASOS Sweatshirt ($59.07), the fabric makes a close fit possible without sacrificing the range of motion of your favourite hoodie. If you’re obsessed about keeping your clothes feeling and looking fresh, another upshot is that it won’t achieve the same lived-in look of your university pullover—it may fade a bit, but it will stay sleek no matter how you wear it. 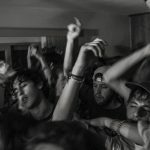 The usage of neoprene in men’s accessories like bags, backpacks and wallets not only gives them that added punch of cool, it also provides a little extra stretch for room where it counts. 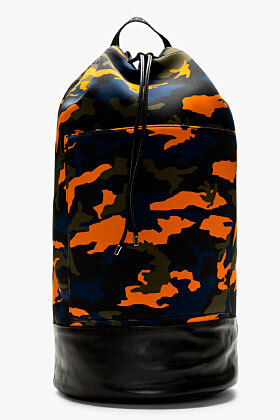 Taking on-point camo print, this Givenchy Camo Backpack ($1,400) has space to hold all your belongings for a trip downtown, and then some. Leather details at the closure and base fortify it against wear, while metal star embellishments on the straps lead the way to your destination in style. Want the smooth texture of leather, but the comfort and low maintenance of a pair of sneakers? Neoprene has you covered. 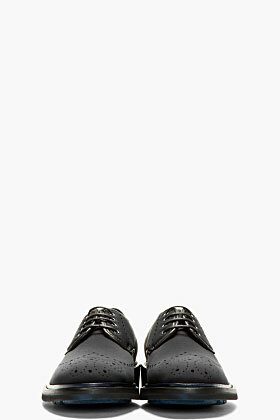 These Huntington Brogue Shoes ($795) combine leather panels and a stretchy upper for the best of both worlds. The material makes for some laser-sharp perforated details, and there will be no need to worry about scuffs or water damage. Ever. 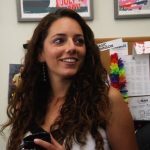 TED v. YouTube: Who Has Better Commenters?